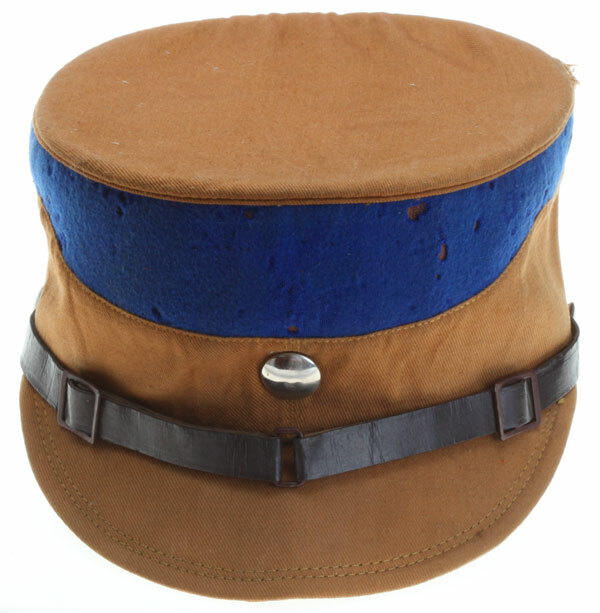 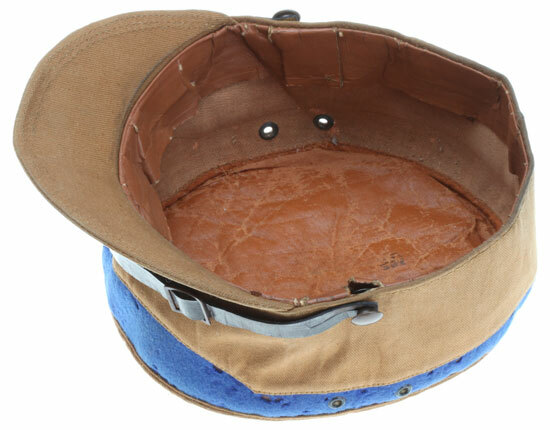 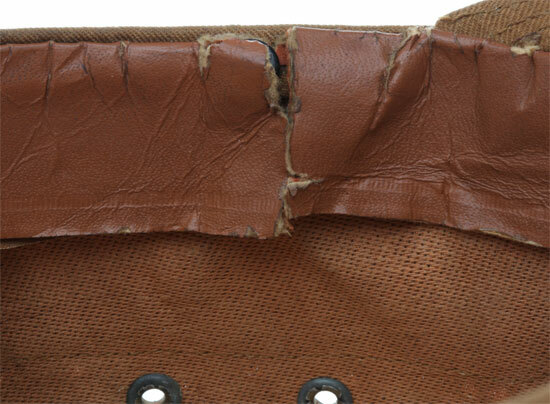 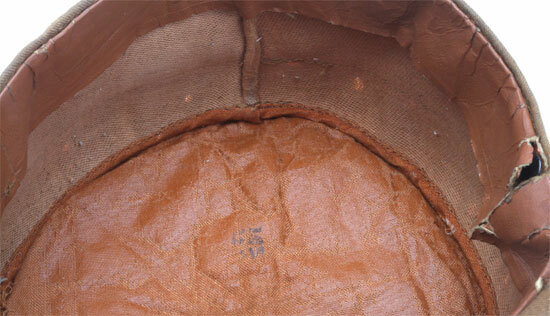 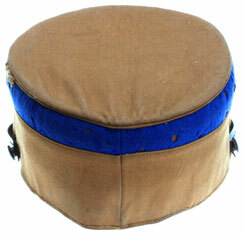 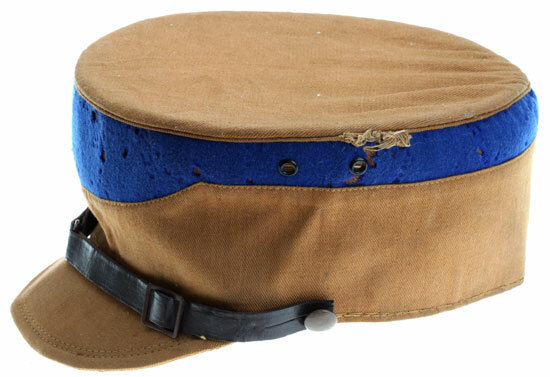 SA Enlisted Man "Coffee-Can" Hat: Dienstmutze, Wartime Model, steel button, brown cotton twill side panels, top wire shaping ring is missing, cloth covered brim is still stiff with the normal center thumb crease that comes with regular wear, navy blue wool band signifying Hessen has many moth bites, nice supple brown leather chinstrap secured by correct brown metal snap-rivet buttons, top orange oilcloth lining marked size 55 needs a few stitches on the left side, left side panel is also stamped size 55, brown leather sweatband has a tear on the right side, brown oilskin RZM label is stamped 1/17 serial # 465103; two brown metal ventilation vents on each side, 100% original, very repairable, moderate to heavy wear. 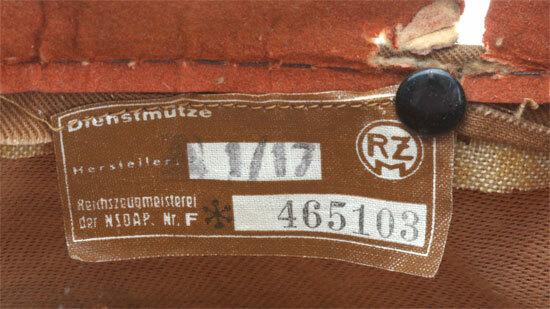 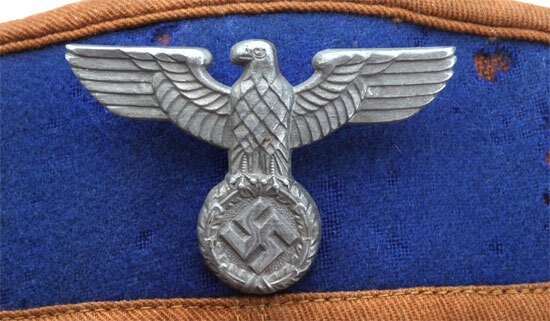 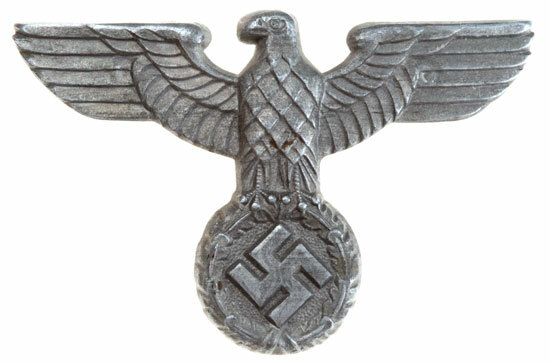 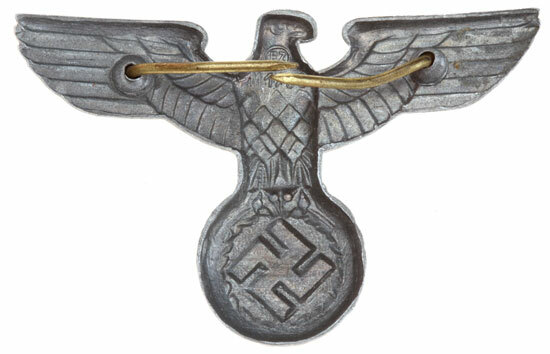 Eagle: 55 mm 1939 zink party eagle marked RZM M1/58 (M. Kutsch, Attendorn), a very rare maker, was temporarly removed from most photos for possible future sale on ebay. 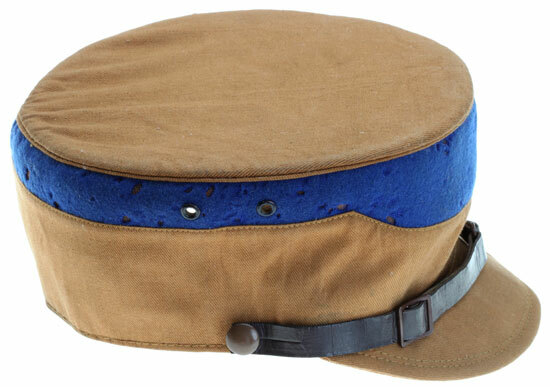 Of course the eagle is included with the hat. Price ... $499 SOLD, Sal I.